Dr. Reidy Lagunes accepts the following list of insurance providers. Select your insurance provider to see more details. 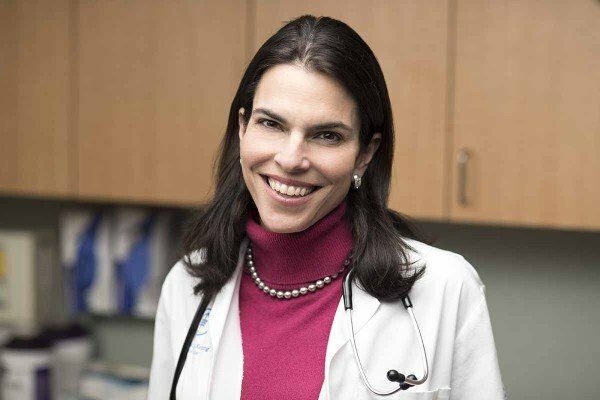 I am a board-certified medical oncologist whose primary focus is treating patients with neuroendocrine, colorectal, pancreas, biliary, and other gastrointestinal cancers. I work very closely with a team of surgeons, oncologists, and radiation therapists to provide the best treatment and care for each patient with these diseases. My research initiatives include developing methods to integrate molecular-based therapies into the treatment of neuroendocrine tumors, as well as designing and conducting clinical trials to better our treatment strategies for our patients with this uncommon cancer type. It was for this work that I was honored to receive a Young Investigator Award from the American Society of Clinical Oncology (ASCO) in 2008, and the North American Neuroendocrine Tumor Society Young Investigator Award in 2009. At a national level, I am a member of the National Cancer Institute neuroendocrine tumor task force and the Neuroendocrine Tumor Biospecimen Consortium. These cooperative groups comprise a group of experts from around the world working to develop clinical trials and unravel the mechanisms that cause the development of neuroendocrine tumors. Visit PubMed for a full listing of Dr. Reidy Lagunes’s journal articles. Pubmed is an online index of research papers and other articles from the US National Library of Medicine and the National Institutes of Health.